The BMW i3 is a pretty instantly recognisable car at the best of times, but an altogether more individual version of the all-electric city car has just been auctioned off for even more than the regular model already costs. Dubbed the “Spaghetti Car,” the BMW was designed by Maurizio Cattelan and Pierpaolo Ferrari of TOILETPAPER, and it was auctioned to raise funds for the Leonardo DiCaprio Foundation (LDF) at its fourth annual Saint-Tropez Gala. Perhaps surprisingly, the vinyl wrap showing spaghetti was really the only thing out of the ordinary about this particular i3, which was a base model with the smallest battery donated to the cause by BMW France. What is really remarkable is that after a spate of intense bidding, the car eventually sold for a staggering €100,000, or around US$117,000 at current exchange rates. Then again, when this event is described as “star-studded,” it’s hard to think of anything this side of the Oscars ceremony that better fits that description. As well as being the Leonardo DiCaprio Foundation, the event chairs included the likes of Prince Albert II of Monaco, Cate Blanchett, Philippe Cousteau, Penélope Cruz, Tom Hanks, Kate Hudson, Tobey Maguire, Edward Norton, Emma Stone, Uma Thurman and Kate Winslet. 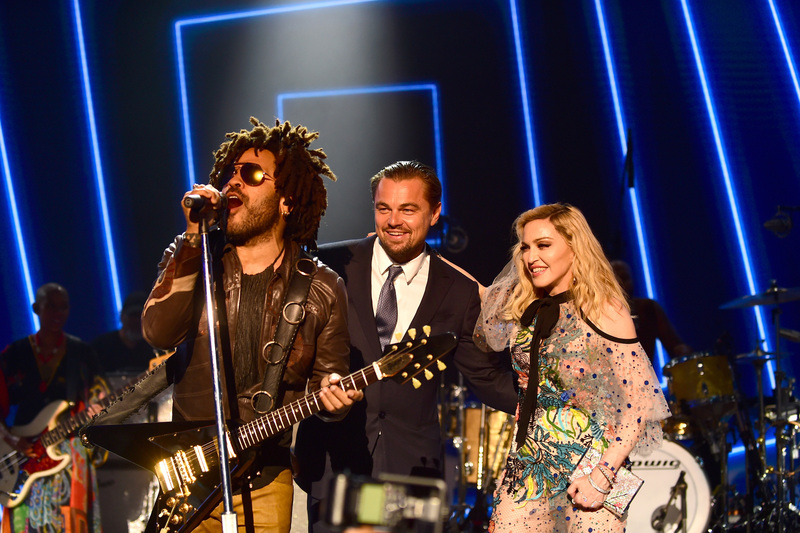 Among the guests at the event were Adrien Brody, Sean Penn, Taylor Hill, Iman Hamman and Gerard Butler, while Lenny Kravitz performed and there was even a surprise performance by none other than Madonna. What can’t be denied though is the impressive fundraising record of LDF programmes, which have now brought in more than US$30 million and counting.